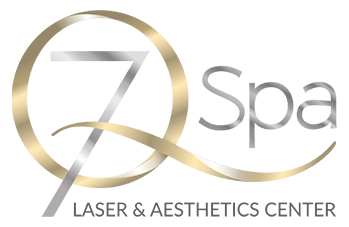 By making the full line of iS (Innovative Skincare) Clinical products available to our customers, 7Q Spa Medical Center has become your one-stop shop for professional beauty and skin care products in Glendale. 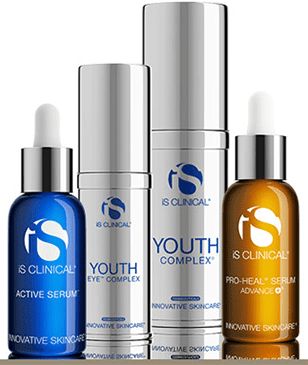 For over 10 years, iS Clinical has remained at the forefront of the health and beauty industry, consistently delivering cleansers, moisturizers, and treatments—like 7Q Spa’s extremely popular Fire and Ice Facial—that make skin healthier, more hydrated, and uniquely shielded with advanced DNA protection. 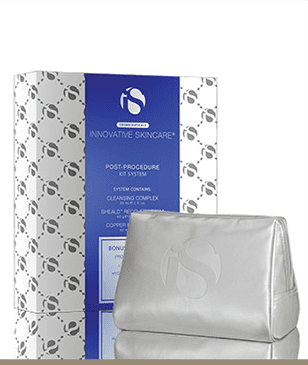 Innovative and effective, iS Clinical’s products represent the next generation of high-quality, at-home skin care treatments. Cleansing is the first step toward maintaining a clear and vibrant complexion. iS Clinical cleansers effectively remove oil, makeup, and debris without causing irritation, and are gentle enough for all skin types and clients of any age. iS Clinical treatments allow clients to target specific conditions with potent ingredients. Strong yet non-irritating, iS Clinical treatments produce visible improvements to a variety of maladies, including acne, Rosacea, enlarged pores, and more! Hydrating helps skin maintain its structure, firmness, and ability to overcome damage from sun, pollutants, and other environmental factors. 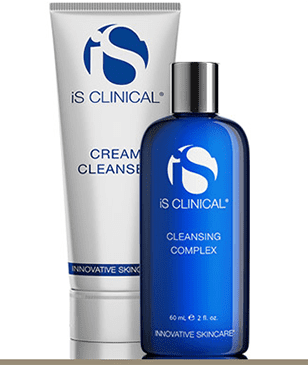 iS Clinical’s moisturizers are proven to improve the quality of skin without feeling heavy. 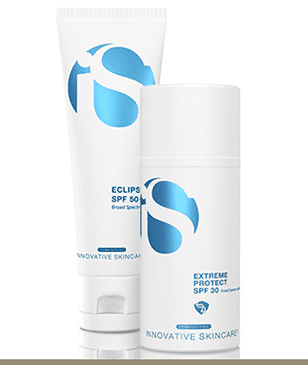 Protection one’s skin from the harmful ultraviolet rays is essential for keeping skin looking young and cancer-free. iS Clinical’s broad-spectrum (UVA and UVB) sunscreens are specifically-formulated to shield skin while simultaneously hydrating. 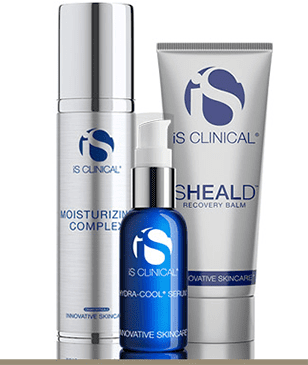 Complete with a cleanser, a treatment, a moisturizer, and a protective lotion, iS Clinical’s kits are your all-in-one solutions for fighting acne, Rosacea, hyperpigmentation, over-drying, sun damage, and dozens of other skin imperfections.